The Mashers are back as they take on Indianapolis in the penultimate game of the season! TONIGHT'S GAME: The Louisville Bats and Indianapolis Indians finish up a four-game split series, with the final pair of games at Louisville Slugger Field after splitting the first two games of the series at Victory Field. The Bats won 6-5 on Friday night, with the Indians winning by a 5-2 score yesterday. In what will be the clubs' final night game of the 2018 regular season, left-hander Justin Nicolino is set to make his final Bats start of the season. AGAINST INDIANAPOLIS: The Bats and Indians finish up the 2018 season with a pair of games at Louisville Slugger Field. The season series is tied at 9-9 coming into play Sunday, with the Indians finishing 6-4 against the Bats at Victory Field. Overall, the Bats have narrowly outscored the Indians by a 70-68 advantage, with IND outhomering LOU, 11-10. After going just 8-15 against the Indians last season, the Bats have a chance to go over .500 against them in a season for the first time since 2016, when they finished 14-12 against the Indians. ONLY TWO MORE TO GO: The Bats played their 67th and final road game of the 2018 season last night after they had 3 road games cancelled earlier this season, 2 at Buffalo and one at Scranton/Wilkes-Barre. 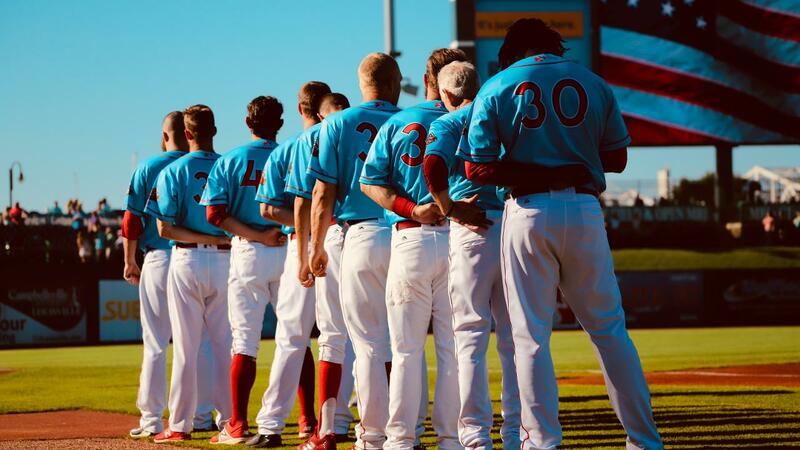 LOU finishes 2018 with a 29-38 road record, an impressive mark after starting off a franchise-worst 5-20 before winning their first road series at Toledo from June 15-17, rattling off a 24-18 record in their final 42 road games. -VanMeter has hit safely in 12 of his last 13 games, batting .420 (21-for-50) with 14 runs, 7 doubles, 3 triples, 3 home runs, 14 RBI and 6 walks since August 19. -In that span, his extra-base hits (13) and triples both rank most in the IL, while his 14 RBI ranks second to only Gwinnett's Austin Riley (17). -VanMeter also has an active 3-game streak of drawing at least one hit and one walk, the first LOU streak of that kind since Mason Williams recorded a hit and walk in 3 straight games from July 14-17 this season. WOOTEN FOREVER: Right-hander Rob Wooten came into the game out of the bullpen for Louisville yesterday, tossing 3.0 innings of relief. It was his first appearance for the Bats since May 11, 2017, coming back after recovering from his second Tommy John surgery. ROUTE 66: Second baseman John Sansone made his Triple-A debut on Saturday, going 0-for-2 but reaching base twice with a pair of walks. He became the 65th different Louisville player this season, while Wooten became number 66. The Bats employed 71 different players during the 2017 season. LEADING THE LEAGUE: The Bats currently lead the IL with 36 triples, and rank second with a .260 team batting average. LOU last finished in the top two in batting average in 2011, when they hit .266 as a club, trailing only Durham's .271 average that year. Louisville last led the league in triples during the 2008 season, when they clubbed a Bats franchise-most 60 triples that season, 13 more than next-closest Rochester. AUGUST STATS: The Bats finished up the month of August with a 13-16 record, their first losing month since May. Louisville's offense had a solid month, batting .265, scoring 125 runs and hitting 25 home runs. Louisville's .265 average ranked 5th in the IL for the month, while the 25 long balls were tied for 5th.